Have a favorite movie clip on your DVD movies, and wish to extract that clip from the DVD movies for posting to YouTube but have no idea how to make that achieved. 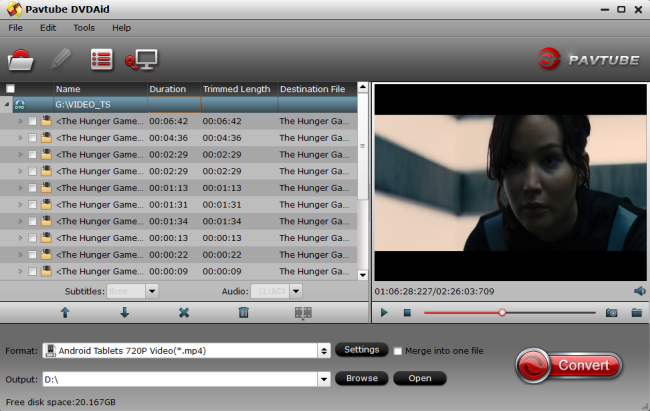 The following article will share you a pretty simple way to upload DVD clip to YouTube with just few clicks. If you are looking for a hassle free solution to get best YouTube uploading settings from DVD movies, we highly recommend Pavtube DVDAid to you. The program not only helps to encode DVD movies to YouTube best favorable MP4 file formats, but also enables you to tweak other profile settings such as video codec, file size, bit rate, frame rate, audio codec, bit rate, sample rate, channels, etc to let them fit with YouTube most favorable settings listed above. 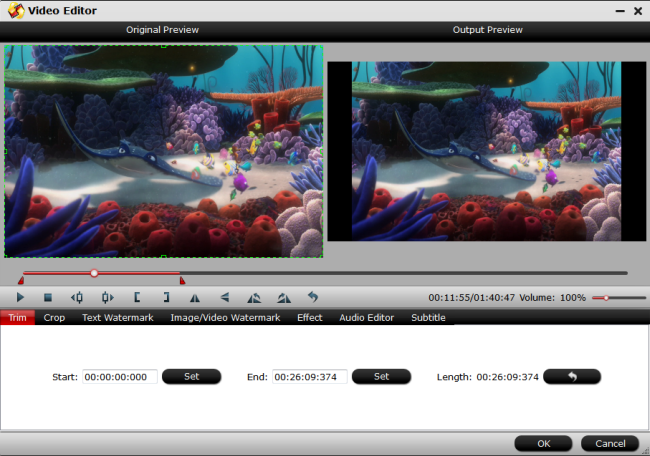 If your output DVD movie is longer than 15 minutes, you can shorten video length with the trim function to trim or cut the unwanted parts or segments from the video. 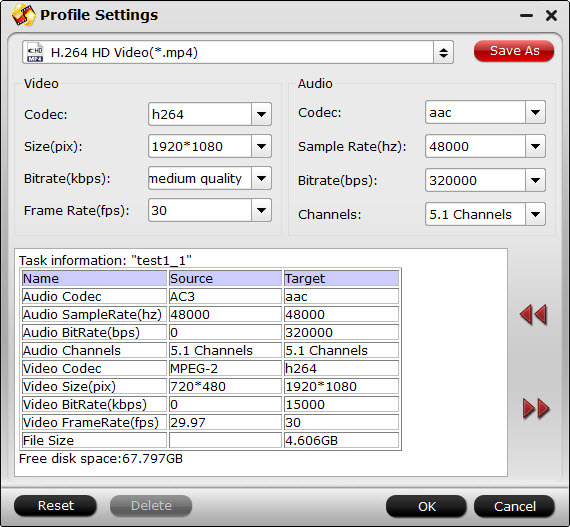 If the output video file size exceeds the maximum file size limitation, you can compress video with no quality loss by splitting large video into small by file size, count for length, if the output video doesn’t use an aspect ratio of 16:9, you can adjust output video aspect ratio to 16:9 in the video crop window to let it fit with YouTube. For Mac users, you can download Pavtube DVDAid for Mac to perform the conversion on macOS High Sierra, macOS Sierra, Mac OS X El Capitan, Mac OS X Yosemite, etc. Step 2: Output YouTube best supported file formats. Clicking the Format bar, from its drop-down list, here, it would be ideal to choose YouTube best compatible “H.264 High Profile Video(*.mp4)” under “Common Video” main category, you can also choose “H.264 HD Video(*.mp4)” under “HD Video” main category. Tips: Click “Settings” on the main interface to open “Profile Settings” window, here, you can flexibly choose or specify exactly the profile parameters including video codec, resolution, bit rate, frame rate, audio codec, bit rate, sample rate, channels, etc as you like to let them fit with YouTube. Step 3: Trim/Split/Adjust output video aspect ratio. If you want to keep the cropped aspect ratio, there are several aspect ratios for you to choose from, including 16:10, 16:9, 5:4, 4:3, 3:2, and 2:1. Once you select a “Display aspect ratio”, the “green crop frame” will keep this ratio to crop video and you are able to preview the final effect in real time. If you want to keep the same aspect ratio in your final output files, do remember to set the Video “Size (pix)” in “Settings” section as the same ratio as display aspect ratio. After all setting is completed, hit the “Convert” button at the right bottom of the main interface to begin DVD to YouTube best compatible file formats, settings, video length, file size and aspect ratio conversion process. When the conversion is finished, click “Open Output Folder” icon on the main interface to open the folder with generated files. Then you can smoothly upload and share your favorite DVD clip on YouTube with best quality.